A 29-year-old man is being hailed as a hero after he single-handedly disarmed a gunman inside of a Tennessee Waffle House Sunday morningduring a deadly attack that left four people deadand two others injured. 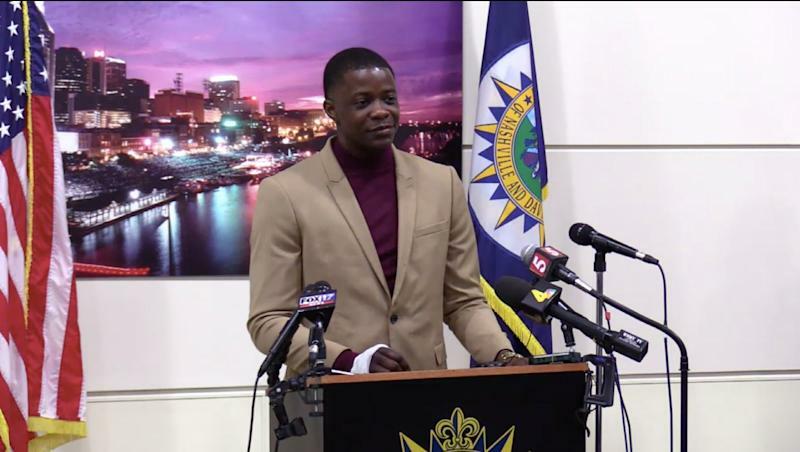 James Shaw Jr. said he was dining at the restaurant near Nashville with a friend when suspected gunman Travis Reinking, armed with an AR-15, opened fire at people outside and then inside the establishment just before 3:30 a.m.
Shaw said he jumped behind a nearby door and suffered a minor gunshot wound to his arm in the process. As he waited to see if he would live or die, Reinking’s gun appeared to jam, giving him a chance to charge. James Shaw Jr., 29, recalls disarming a Waffle House gunman. Shaw tackled Reinking and grabbed the gun’s barrel with his bare hand, an act that badly burned him in the process. Shaw said he didn’t feel the metal’s scorching heat on his skin. Instead, he continued to grip the firearm before tossing it over a counter. He then proceeded to physically remove Reinking out of the restaurant. Reinking disappeared on foot and remained at large as of late Sunday afternoon. James Shaw, Jr. shows off his bandaged hand after disarming a gunman early Sunday morning. Nashville Police Chief Steve Anderson heard Shaw out but disagreed with his humble self-assessment. “A real definition of a hero is someone that knows the danger that they’re facing and yet takes that action and certainly James did,” Anderson said. Many others agree with Anderson, including Nashville Mayor David Briley. “He saved lives, that is certain, and we are all thankful to him for his bravery,” Briley said at the press conference. Waffle House CEO Walt Ehmer also praised Shaw.